← Will the Warmth Last? Taking a look at the current surface observations across the area, temperatures are still sitting around the 80-degree mark with dew points rising a little into the middle 50s. 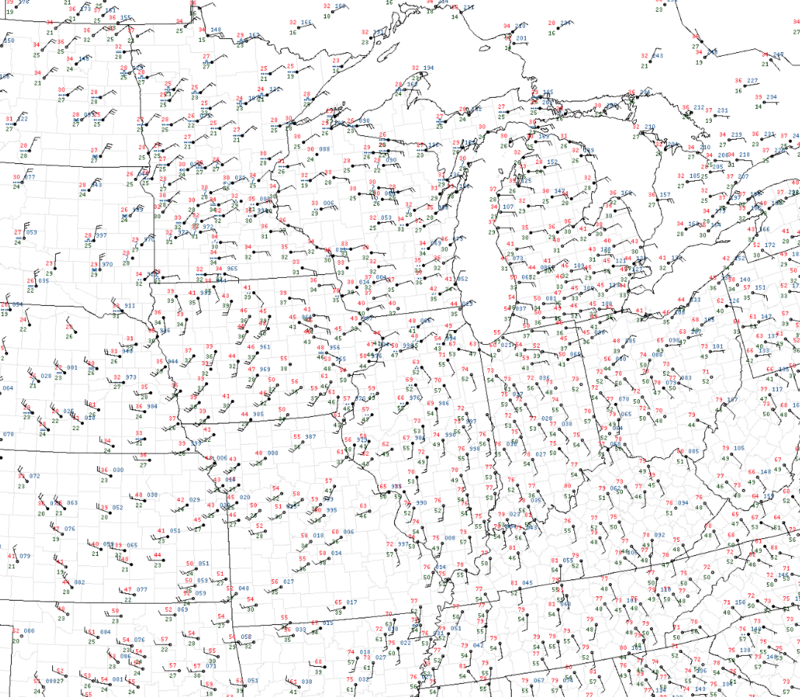 The current surface observations are showing much of the Ohio and Tennessee River Valleys in the warm sector, out ahead of the approaching surface low, centered over NW Iowa. This low will continue to push off to the NE into Minnesota and eventually into the southern part of Ontario, dragging a cold front behind. 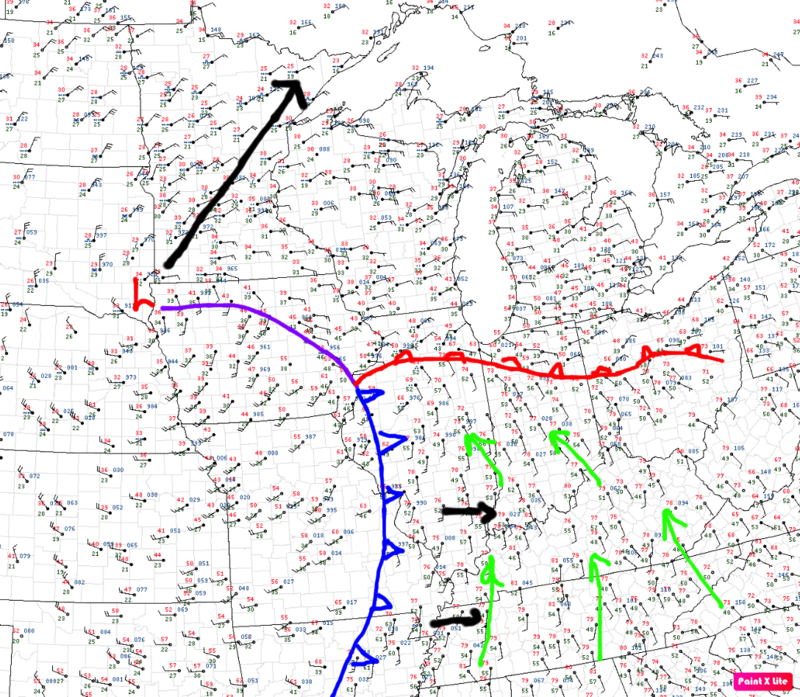 This cold front will eventually make its way to our area. As we head into the late evening and early morning hours, LLJ (Low-Level Jet) at 850mb will kick into gear with winds racing in from the SSW at around 40-50 knots. 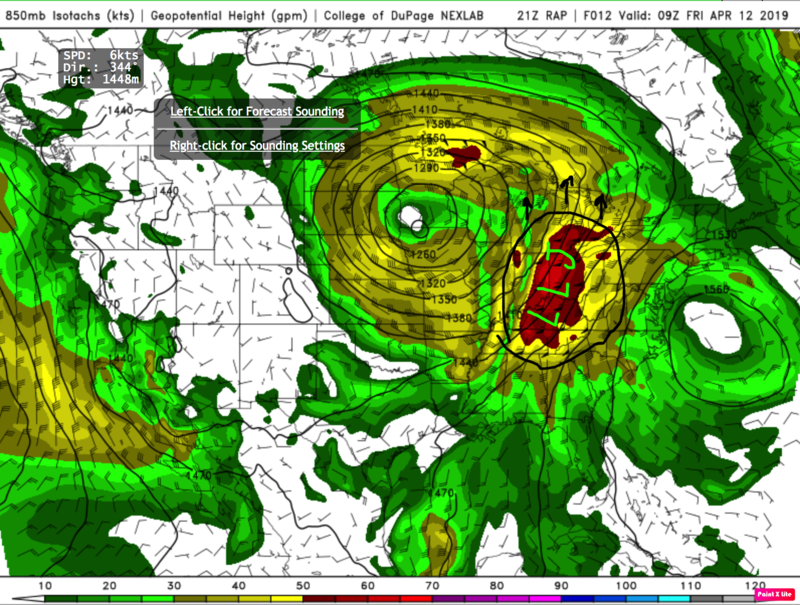 Why is this concerning, because this will aid in the development of thunderstorms. The LLJ provides extra moisture and lift for thunderstorms to tap into and aid in development. As the LLJ ramps up, better forcing associated with the approaching cold front will move into the area early in the morning on Friday. 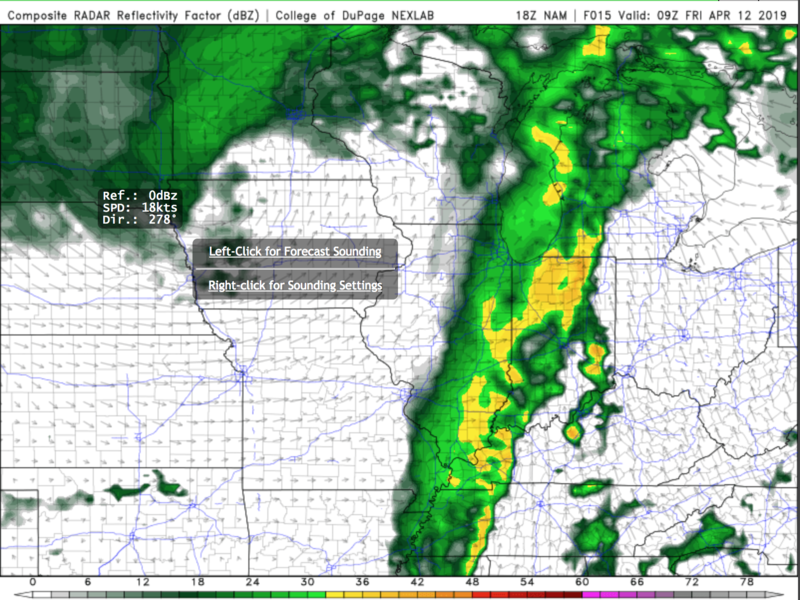 Model guidance is indicating that a line of thunderstorms will move through the area sometime early Friday morning. The threats associated with this line are low, but you can’t rule out some areas within the line to produce strong winds and some small hail. Wind shear values (wind speed and direction changing with height) across the area are low, making the tornado threat quite low. Model guidance is also indicating at some pre-frontal convection developing across the area thanks to the strong surge of moisture coming in from the south. Showers and remaining t-storms will move out of the area as Friday progresses leaving behind a mild afternoon with skies becoming mostly sunny with high hovering around the 70 degree mark. Heading into Saturday, moisture will begin to return into the area from the south ahead of another approaching storm system. This system will cut across the Tennessee and Ohio River Valleys. A couple rounds of soaking rain with embedded thunder will move through the area during the evening and overnight hours on Saturday. Highs around the area on Saturday will hover around the 70 degree mark once again. If you have plans for this weekend, especially Saturday evening you might need to pack the umbrellas. 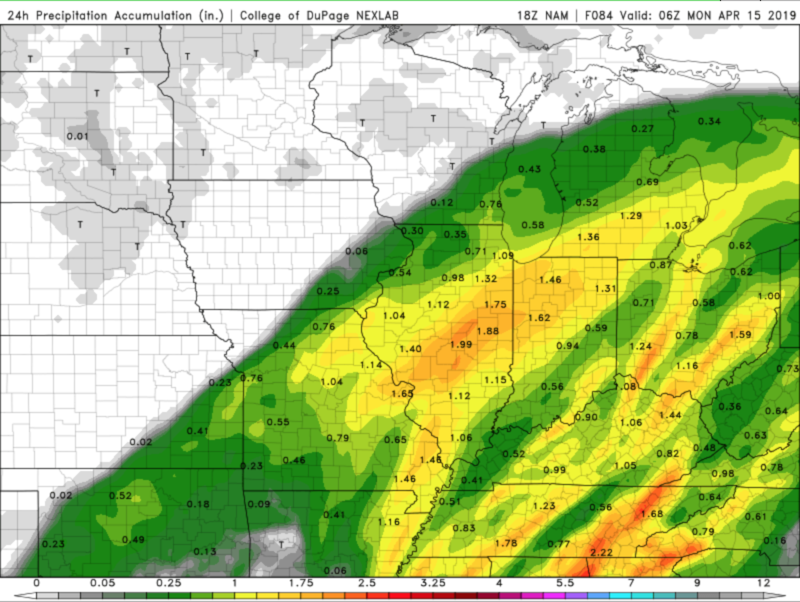 Rainfall totals associated with the weekend system will approach the 1-inch mark. The weekend system will race off towards the east heading into Monday, leaving behind mostly sunny skies, with cooler temperatures reaching the lower 60s to start of the work week. Tonight: Scattered showers and thunderstorms during the early morning hours, lows will hover around the 60 degree mark with winds around 15-20 mph. Friday: Cloudy, then gradually becoming mostly sunny, with a high near 70. Southwest wind 9 to 11 mph, with gusts as high as 22 mph. Saturday: A chance of showers, with thunderstorms also possible during the evening/overnight hours. Mostly cloudy, with a high near 69. Sunday: Showers and possibly a thunderstorm. High in the low 70s, with breezy conditions.